Hello, and welcome to this week's healthy snack suggestion. This post is part of The Year of "Healthy series (read about it here) and today I'm sharing one of my favorite snacks: one apple and a handful of cashews. 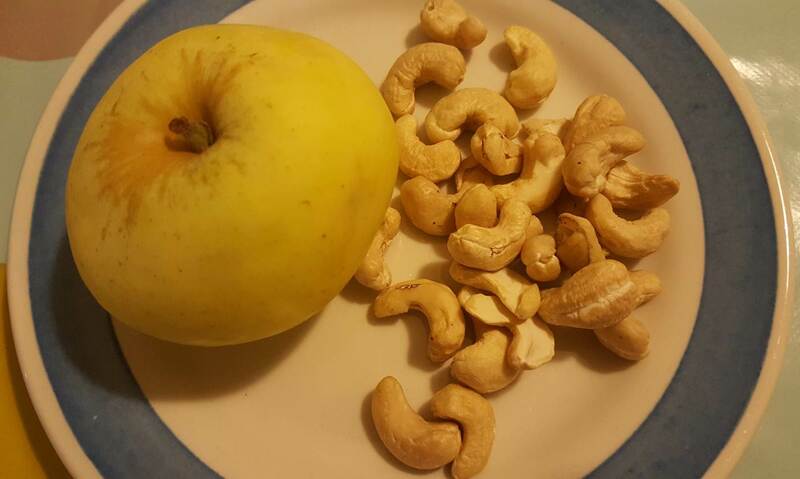 I'm a huge fan of cashews and I can actually eat them at any time of the day (or night, for that matter), either straight from the package or mixed in something else, such as a salad or even roasted vegetable. Still, if you want to keep your snack healthy, you should stay away from the fried and/or salted cashews and eat them raw and unsalted (they are just as delicious, and with a lot less calories, cholesterol and sodium). 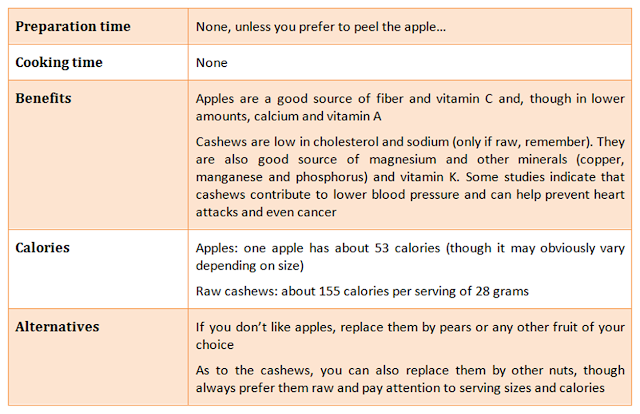 As to the apples, well, as the saying goes, an apple a day keeps the doctor away. 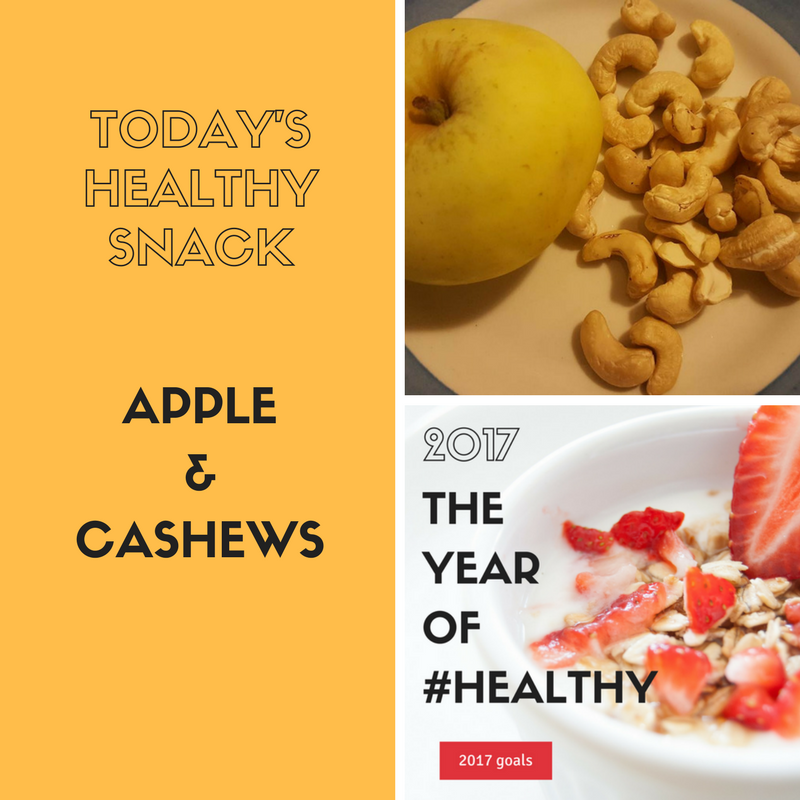 The purpose of the The Year of Healthy Series is to share healthy snack suggestions, recipes and other tips that will contribute to make 2017 the year of #healthy. I've created a specific page for the series, which includes links to all the related posts shared here on the blog, for easier access to the content.